19th June, Bangkok: The stage is all set for the hosting of the 12th World Youth Bowling Championships by Thai Tenpin Bowling Association which will be held at the Blu-O Paragon Bowling Center at Siam Paragon Shopping Mall from June 22 to July 3. A record number of 50 countries will be taking part in the championships for which Thailand is hosting for the second time. The previous championships hosted in Pattaya had 29 participating countries, 21 more this time round. The nine countries from the Amercian zone (PABCON) are Brazil, Canada, Colombia, Costa Rica, Mexico, Nicaragua, Puerto Rico, United States and Venezuela. Seven of the nine are sending full teams of 4 boys and 4 girls. The twenty-three countries from the European Zone (ETBF) are Bulgaria, Catalonia, Czech Republic, England, Estonia, Finland, France, Germany, Iceland, Ireland, Israel, Italy, Latvia, Lithuania, Moldova, Netherlands, Norway, Poland, Russia, Scotland, Sweden, Switzerland and Ukraine. Only six countries are sending full teams of 4 boys and 4 girls. Some of the countries will be making their debut at the world meet. The seventeen countries from the Asian zone (ABF) are, Australia, Bahrain, China, Egypt, Hong Kong, Iran, Japan, Korea (South), Kuwait, Macau, Malaysia, New Zealand, Philippines, Qatar, Singapore, Thailand, Chinese Taipei and United Arab Emirates. Asia has the most full teams with ten sending 4 boys and 4 girls teams. Three countries will also be making their debut at the championships. Dominican Republic, which hosted the 2000 championships in Sano Domingo is not taking part so is the host of the 2004 championships, Guam. At the last championships in Helsinki, Finland in 2010, Korea went away as overall champion with a medal haul of 6-2-5. United States came in second with 2-3-0 while England finished third with 1-1-1. The mighty Koreans also topped both the boys and girls medal standings with 2-2-3 and 4-0-3 respectively. 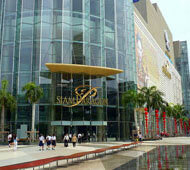 The 10-days championships will be held at the 30-lane Blu-O Paragon Bowling Center at SIam Paragon Shopping Mall. The last day for teams to arrive is June 22 and the teams managers' meeting will be held in the evening. Official pratice will be held on June 23 followed by the opening ceremony at Blu-O Bowling Center which promises to be an extravaganza event based on the tradition of previous official championships held in Thailand. Competition will begin proper on June 24 and 25 for the girl's and boy's singles with the medal shootout finals amongst the top four on June 26. The doubles event will be contested over 2 and a half days from June 26 to 28. The Team of 4 will be held over two bloks of 3 games each on June 29 and 30 with the medal shootout finals on July 1. The top 24 boys and top 24 girls based on the All Events standings will advance into the Step 1 Masters finals over 6 games on July 2. The top 8 boys and top 8 girls will qualify for the Step 2 Round-robin finals on July 3 over seven matches plus one position-round match to determine the top 4 for the shooutout finals. Photos courtesy of Tourism Thailand. 22nd August, Munich: WTBA President, Mr Kevin Dornberger announced during the farewell banquet of the World Men's Championships 2010 at Unterföhring near Munich that the World Youth Championships 2012 will be held in Bangkok, Thailand. Thai Tenpin Bowling Association, who also bid for the World Women Championship 2011 but lost to Hong Kong, came away with being awarded the hosting of the World Youth Championships 2012 instead. The championships period will be from June 22 to July 3, 2012 at the Blu-O Paragon Bowling Center in Bangkok. 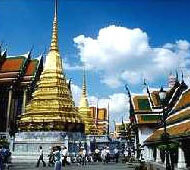 Thailand had previously hosted the 2002 World Youth Championships in Patayya and the 2008 World Men's Championships in Bangkok. The country has also hosted several South East Asian Games and the 1998 Asian Games.